The Daytona collection, with its sheer elegance and pronounced style, takes its inspiration from the Decò design which was so popular in the 30’s. 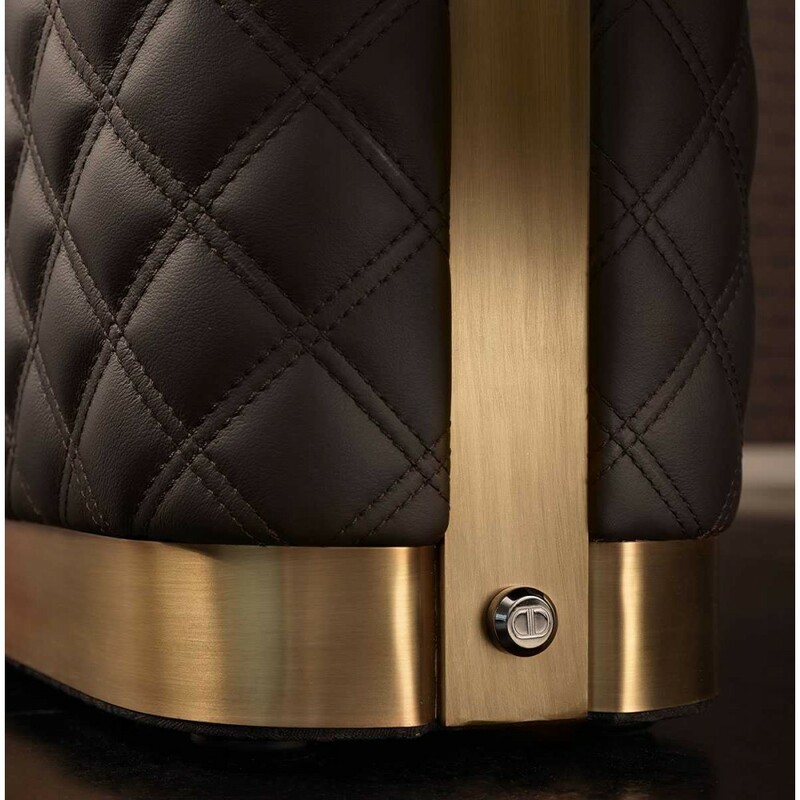 The elements in the collection exude a sophisticated yet cosy style that brightens up formal, sumptuous settings in any home. 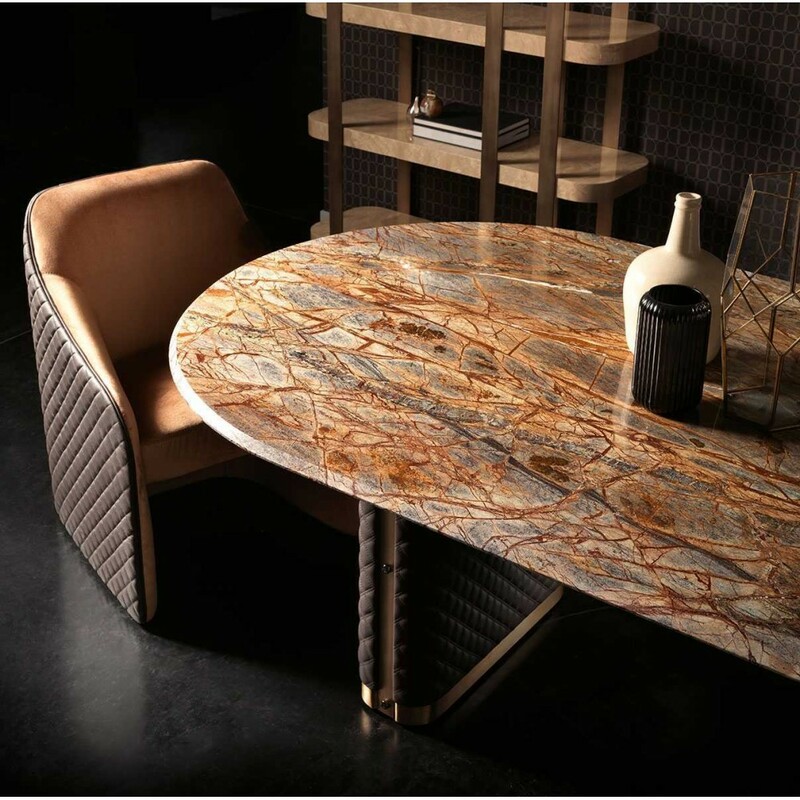 Shapes of a recent past which is appreciated throughout the world for its innovativeness and charm take on a more cosy feel with contemporary design shapes, making the collection an example of a modern classic style which is set to become a timeless choice amidst the changing trends. 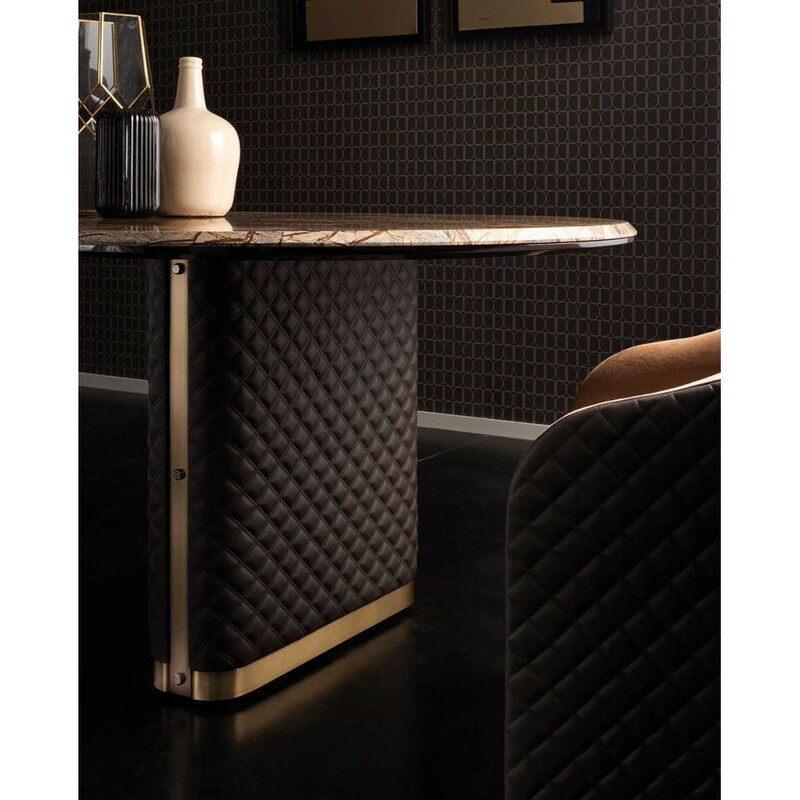 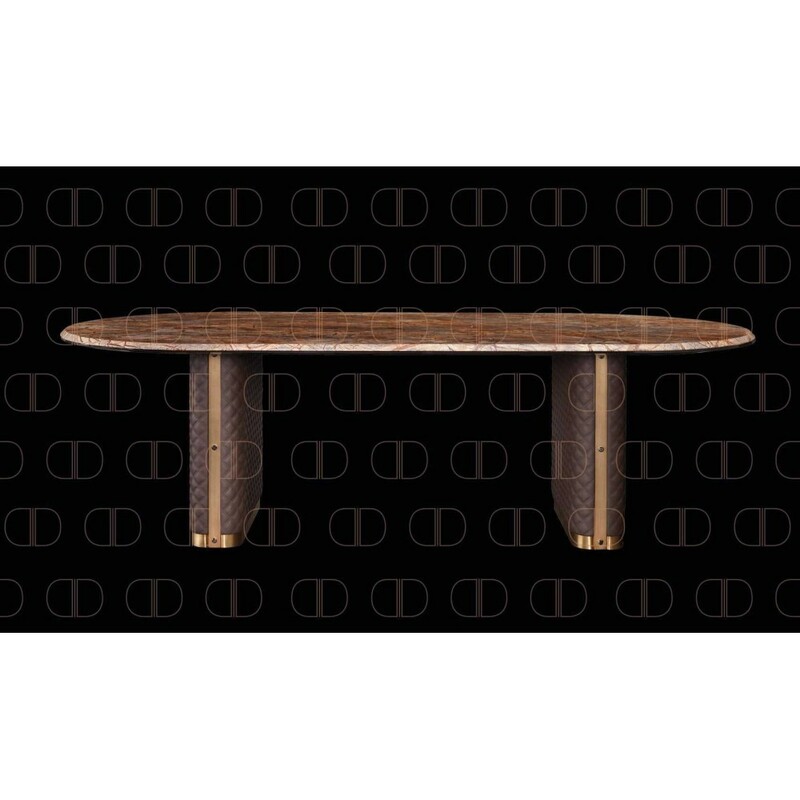 Alfred table from Daytona Collection by Signorini & Coco with a wooden base covered in quilted leather, fixing and decorative elements on the base in burnished brass, rainforest brown marble top.